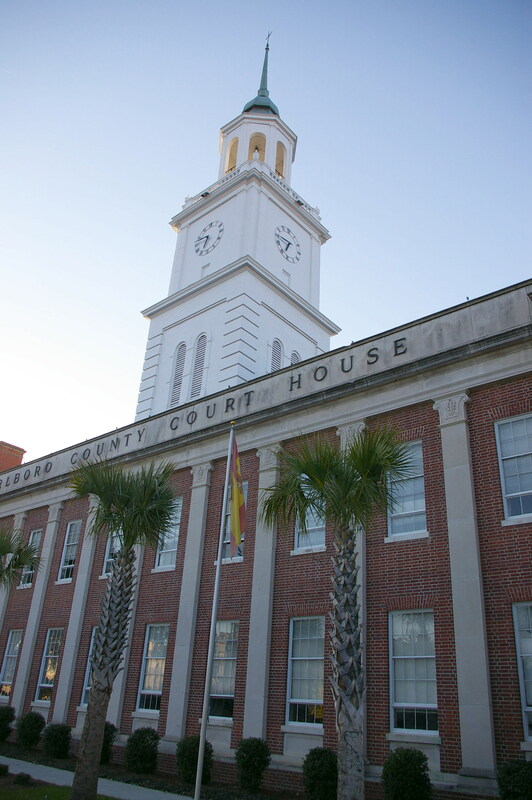 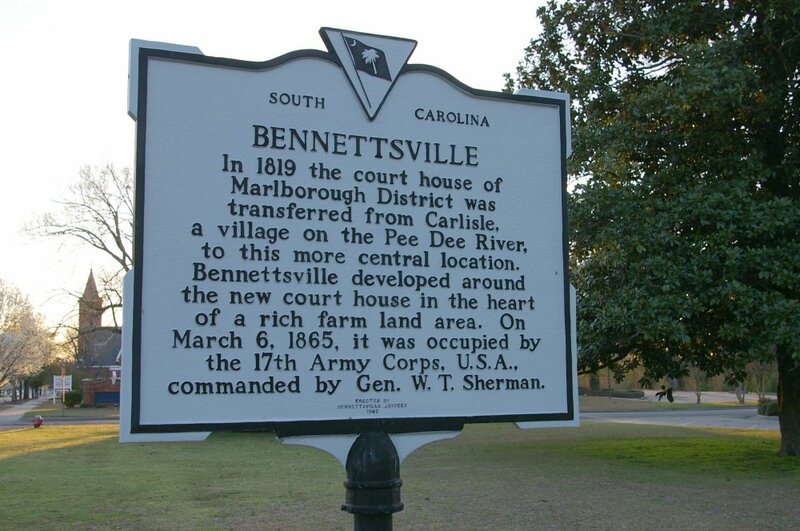 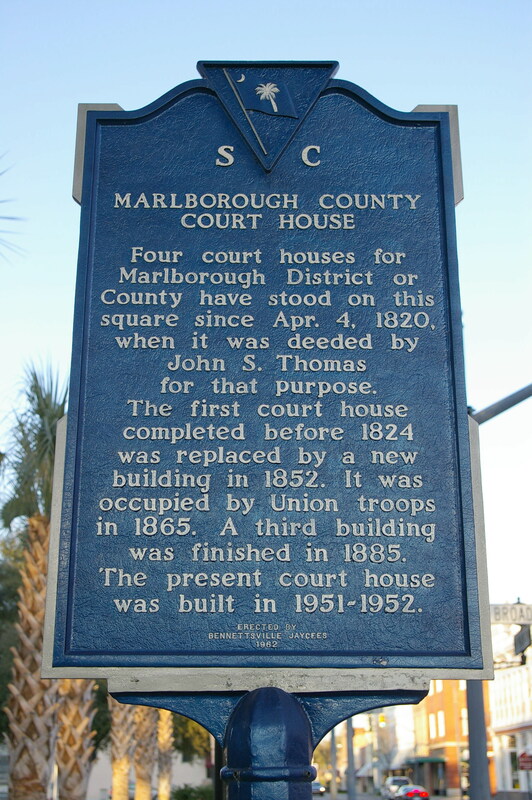 Marlboro County is named for John Churchill, 1st Duke of Marlborough. 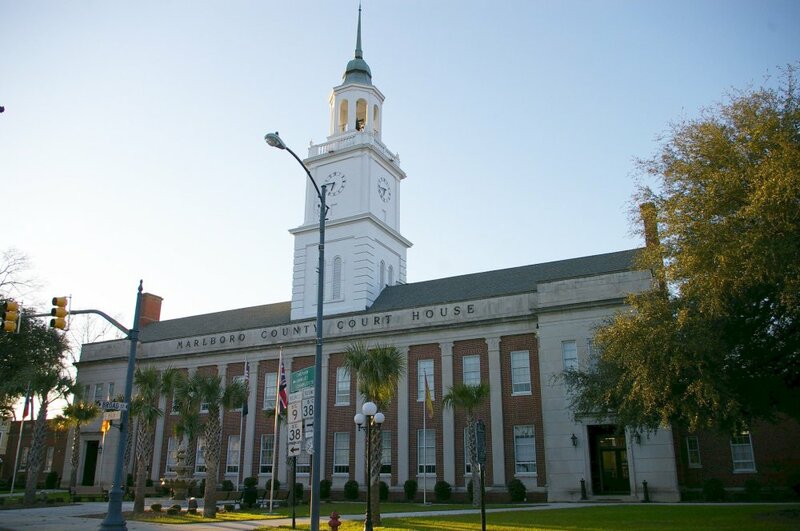 Contractor: H J Munnerlyn, Inc. 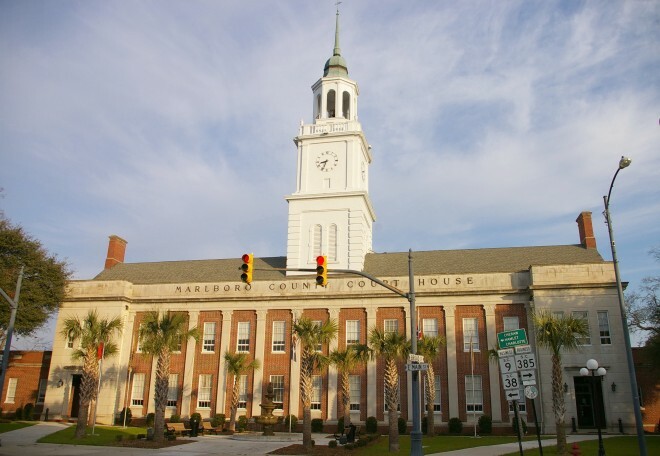 Description: The building faces southeast and is a two story red colored brick and concrete structure. 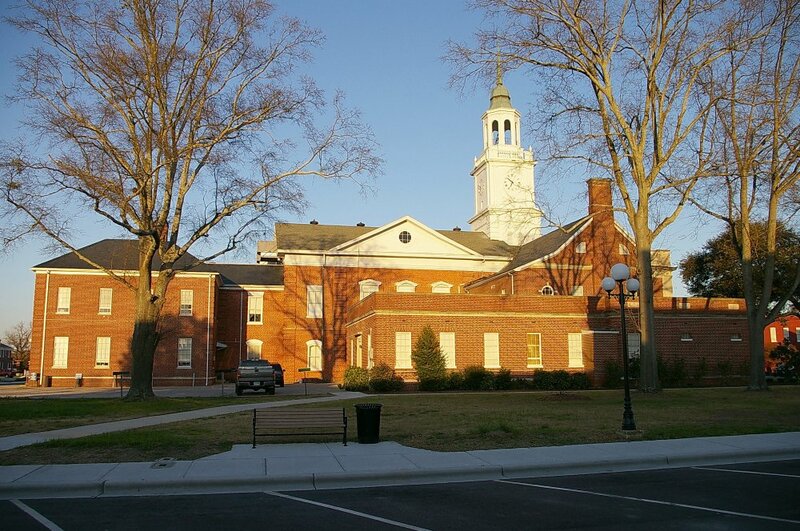 The southeast front has vertical pilasters with red colored brick between. 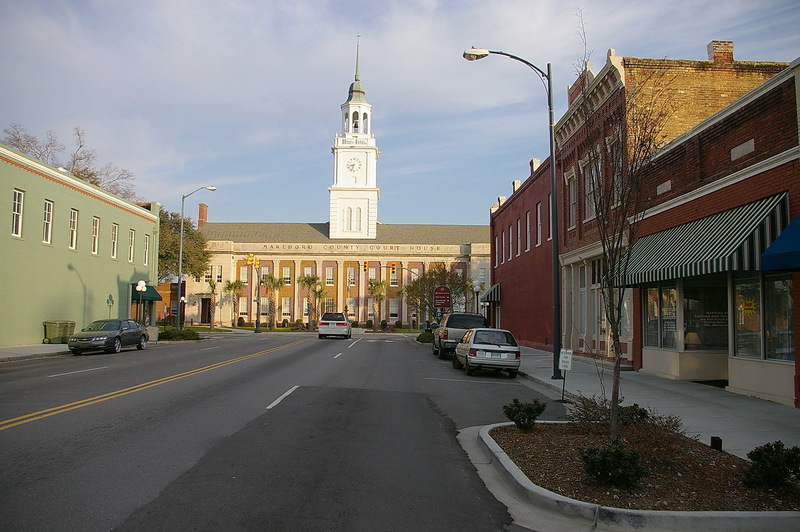 The north and south ends of the building have doorways and are faced with light colored concrete blocks. 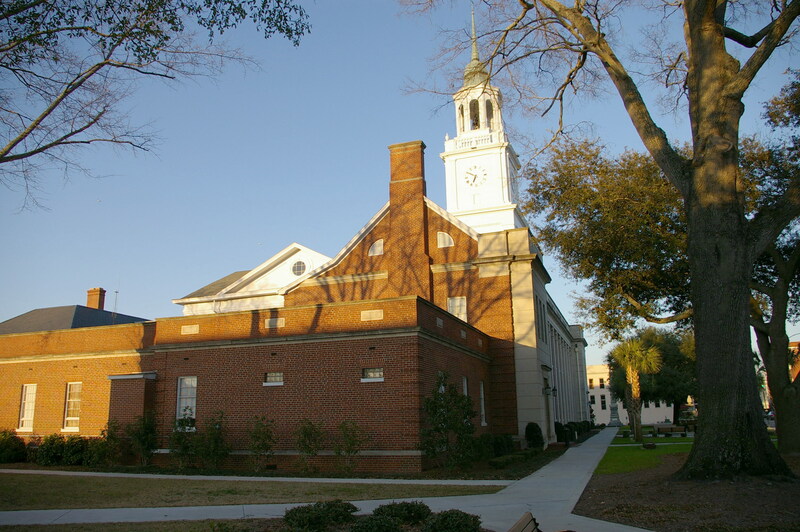 On the center of the roof is a large white colored clock tower with open octagonal cupola at the top. 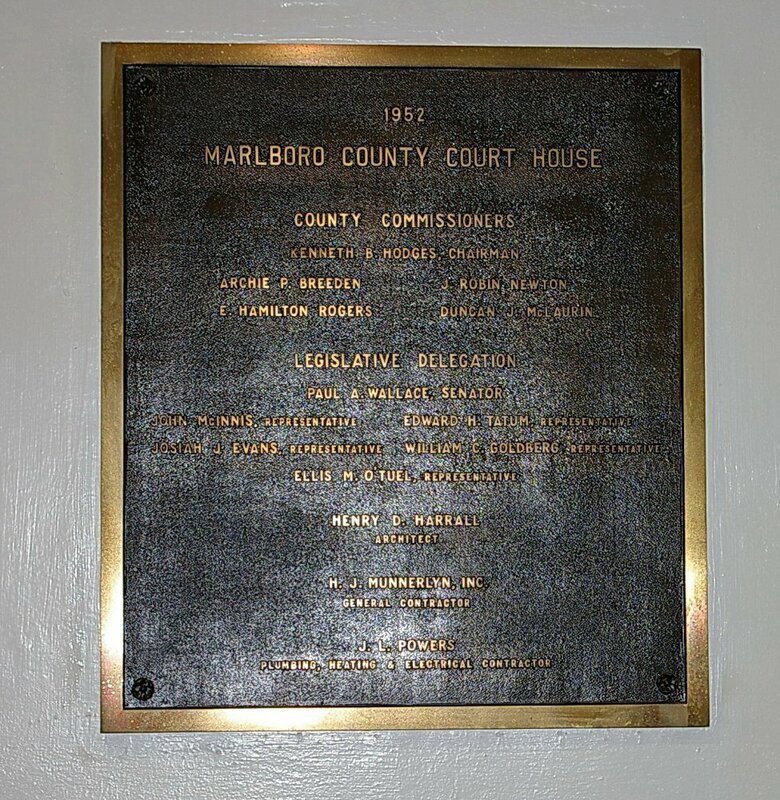 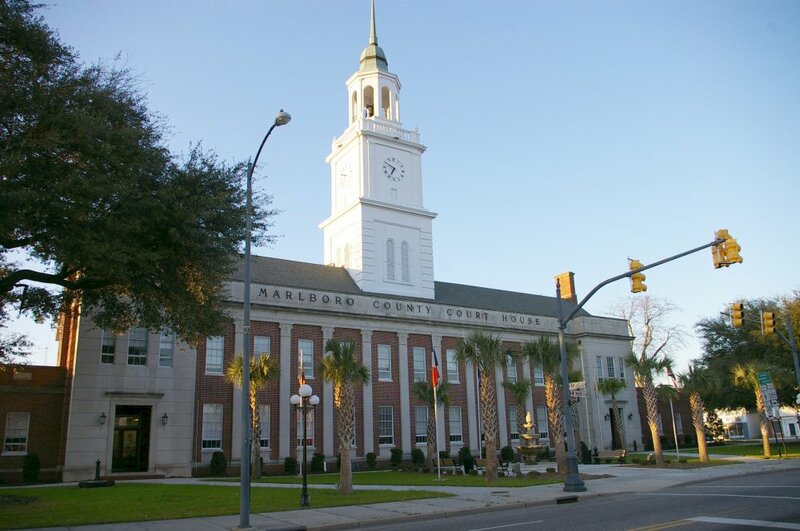 Note: The previous courthouse was constructed by Jacob S Allen in 1885.